Today's post is a bit of a departure for me - my friend Jimmy nominated me to participate in the Explore the Elements contest hosted by Thomas Cook UK, and it was hard to resist the chance at some incredible prizes... Plus, it was fun to look back through my photos from the past year or so and find some images and stories that represented each of the elements. 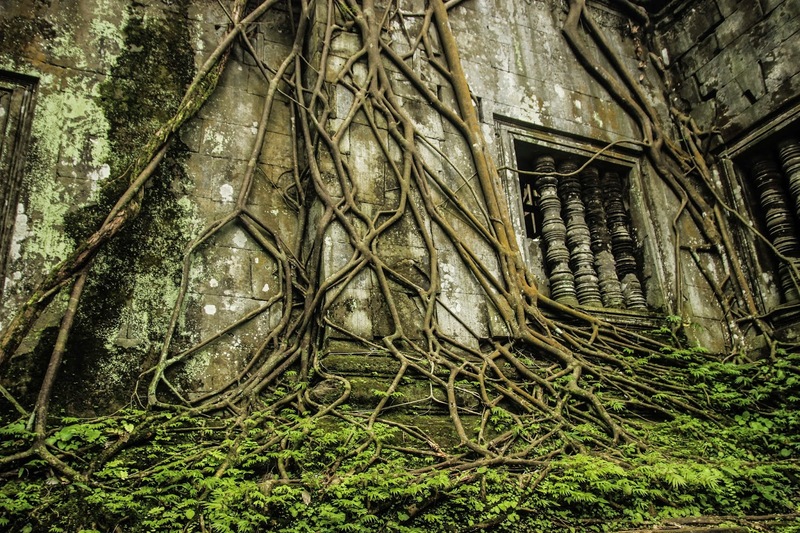 Far from the typical tourist trail around Angkor Wat sits Beng Mealea, a temple that has become so intertwined with the earthen elements around it, that it would be impossible to separate the two. Of all the stunning ruins I viewed during my time in Cambodia, Beng Mealea was the one that felt the most wild and reclaimed by the earth. It reminded me of the stubbornness of the natural world, and how no matter how magnificent the structures that we built are, the earth will always be there, working its way back in. It was a powerful reminder that it's impossible to separate ourselves from the earth... and why would we want to? The image above in particular reflected the beauty in the earth's embrace of the forgotten stones. Dave Bouskill is judging the Earth category. 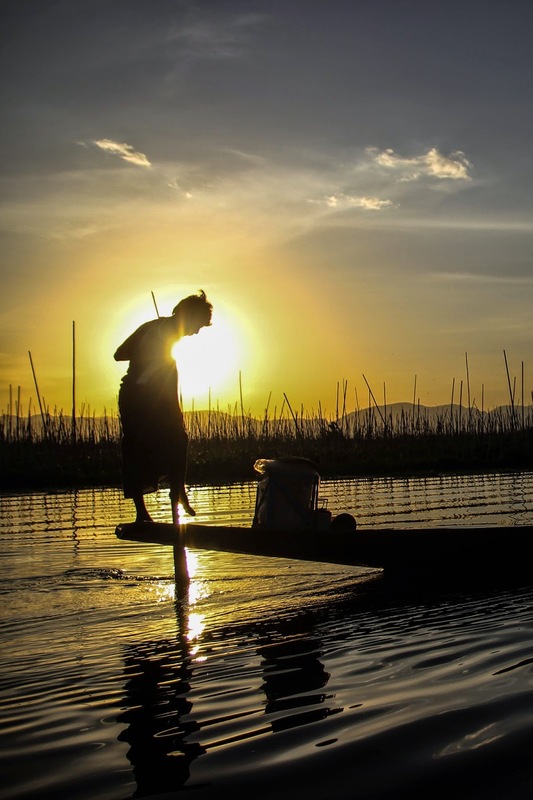 The people of Inle Lake in Myanmar live their entire lives on and around water. Building homes on tall stilts above the lake, making their way through the reedy pathways and landmasses by boat, the people fish and farm on the water. As we cruised slowly past the floating gardens at sunset, we happened to pass a young boy, dressed only in the typical longyi, slowly steering his longboat using a customary standing one-leg paddling technique. The resulting image was a striking depiction of a people who depend so much on the water surrounding them. Ken Kaminesky is judging the Water category. Fire is a destructive force. But it is also a catalyst for change and new growth. While trekking the W trail over four days in late 2014, it was impossible to miss the fire damage caused by a careless camper nearly three years prior. Hundreds of trees were left scorched, leaving blackened skeletons of their former beauty along the trail. However, if you looked closely, you could see new growth all around the trees - grasses, flowers, bushes, and new tree sprouts. 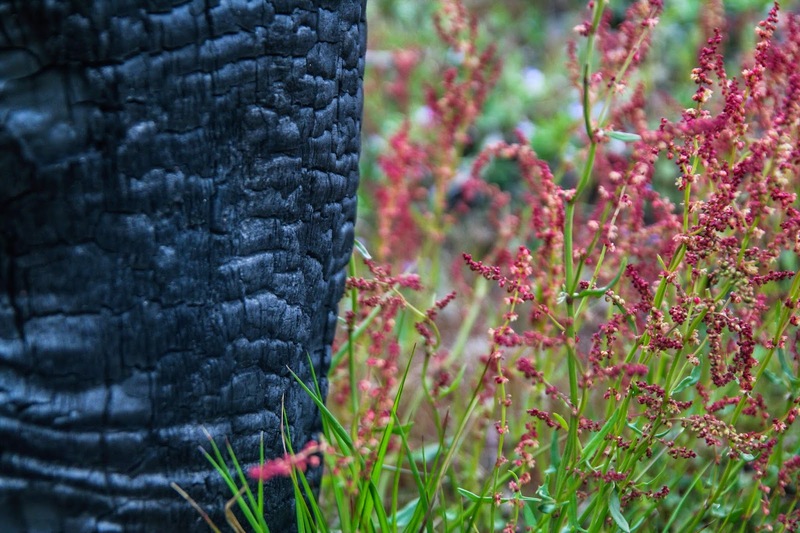 As devastating as fire can be, it can also open a path for new life to rush forward. This image represents the change, the growth, that can come from something that on the surface seems such a powerful force for destruction. Elia Locardi is judging the Fire category. 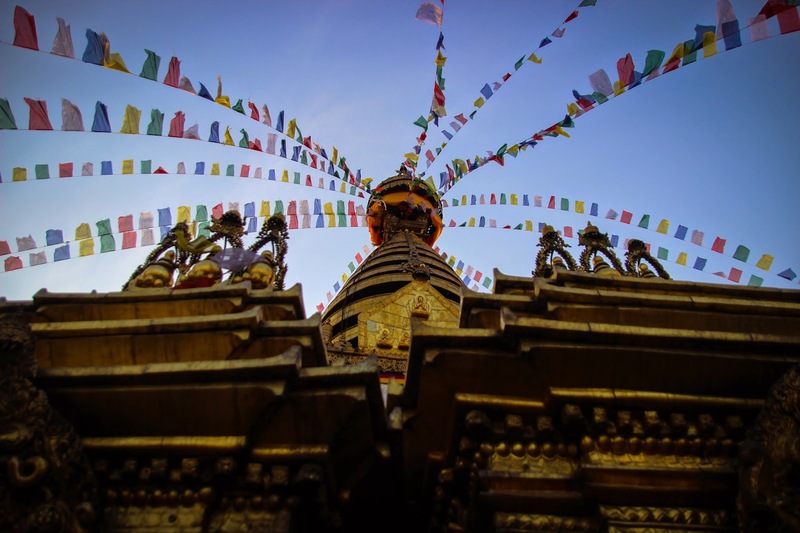 High above the sprawling city of Kathmandu sits the Swayambhunath Temple. Far from the dust of the streets below, the stupa provides a sense of openness, peace, freedom, and adventure, which would lead me to attempt a week-long trek through the incredible Annapurna Range stretching out before me. The colorful prayer flags, fluttering in the breeze, became the symbol of that spirit that would follow me from the stupa all the way up the mountain path to my own personal summit - Annapurna Base Camp. This image represents that feeling of freedom and adventure and peace which took hold inside of me when I saw those flags moving in the wind, like air filling my lungs. Nicole Young is judging the Air category. Even though the entries are due today, I'll still nominate a few folks - sorry, guys! Publish an Explore the Elements post on your blog with an image for each element or as many as you want to capture. Nominate 5 of your fellow bloggers to take part. Notify Thomas Cook that you've entered by tweeting @ThomasCookUK or emailing them with a link to your post before the competition closes on March 16. Thomas Cook and the competition judges will share and retweet some of their favorite Explore the Elements posts throughout the contest's 8 week duration so be sure to follow their Facebook and Twitter accounts closely! Every Explore the Elements blog entry will be judged by the 4 judges with each judge selecting an element category winner to receive either a Fujifilm camera, an Apple MacBook Air, or an Apple iPhone 6 with Bose noise-canceling headphones depending on their choice. The judges will then work together to select the overall winner of the 5,000 travel fund. For further information about the judging and the prizes see the Terms & Conditions by clicking the link below.